Sometimes your job is everything you could ask for and more. Sometimes it leaves something to be desired. For whatever the reason, many people find themselves looking for jobs while still at their current job. It is possible to do this tactfully and to your advantage, according to human resource experts. Here are some of their tips on how to bow out. The best time to start looking for the next step in your career is not when you think you're ready for it, says Christie Joseph, the vice president of human resources at Buffalo Sabres. She recommends being in constant contact with your professional connections, even when you're satisfied at your current job. "Helping people out when they are looking for help and making yourself visible within your local area tends to open other doors naturally," Joseph says. Getting involved in your community can range to anything from joining a local business chapter or attending conferences related to your trade. Keeping in touch with professionals in your industry can help you make your transition when you're no longer happy with your job. "It's much more helpful to you if you have your connections in place by then," she says. Before you use your downtime at work to freshen up your résumé or scan job postings, think again, says Matthew Burr, a human resource consultant at Burr Consulting, LLC. Instead, he recommends taking calls on your lunch hour, or using personal days to go on job interviews. A job hunting mistake that makes him cringe is when employees use company email to correspond with recruiters, or make phone interviews on company phones. "If you're wasting time and resources at work, it could be your downfall if they cut you loose," Burr says. If a job you're applying to asks you for professional references, don't write it off all together, Joseph says. If you and your manager get along well, this may be a good opportunity to talk about your career aspirations with them. "If your company doesn't have the opportunities for you that you want, having that healthy conversation with your manager might help you identify what to look for," Joseph says. 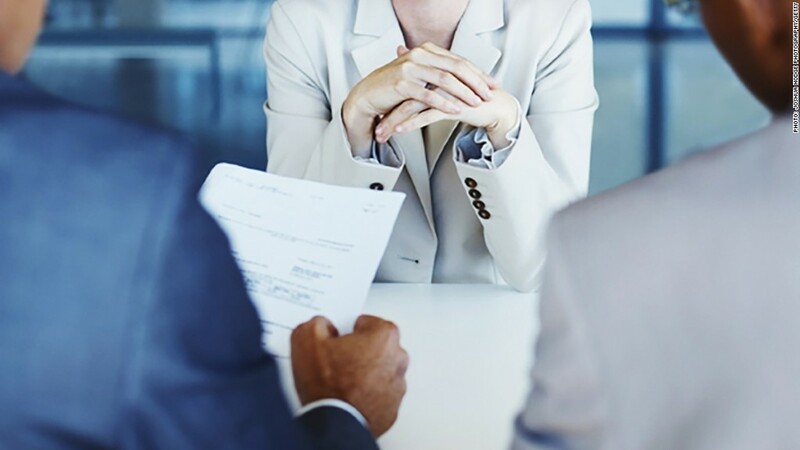 However, if you're having problems with your manager -- a problem commonly faced by job hunters -- she recommends asking a co-worker that is superior to you, though perhaps not your direct supervisor. This should ideally be a person you can trust to keep the information of your job search confidential at work. The same goes for uncomfortable conversations about your job hunt, Burr says. If your boss confronts you about it and you were attempting to keep it a secret, consider the relationship you have with him or her. On one hand, lying might work to your detriment. "They might already know that you are looking or interviewing and checking to see if you have integrity, which can impact you in the job search, especially if they know the organization and players associated with the new position," he says. However, If you feel that your boss might undermine you in your job search, it is better to not be as truthful regarding the situation. "Organizational politics play a tremendous role in information that is revealed, less said is better defended across the board," Burr says. "The world is a small place, but the workforce is smaller."